The Air du Temps table clock by Kartell is a design by the Catalan designer Eugeni Quitllet, who has emphasised extravagance and lightness in his work. While the time is displayed on a polished dial, the purist frame made from thermoplastic technopolymer ensures a virtually weightless appearance with its transparency. The modern design is seamlessly introduced into any room and looks particularly beautiful on the kitchen table, sideboard or bedside table. Minimalist yet elegant, the Air du Temps table clock is a stylish addition that enhances various spaces. 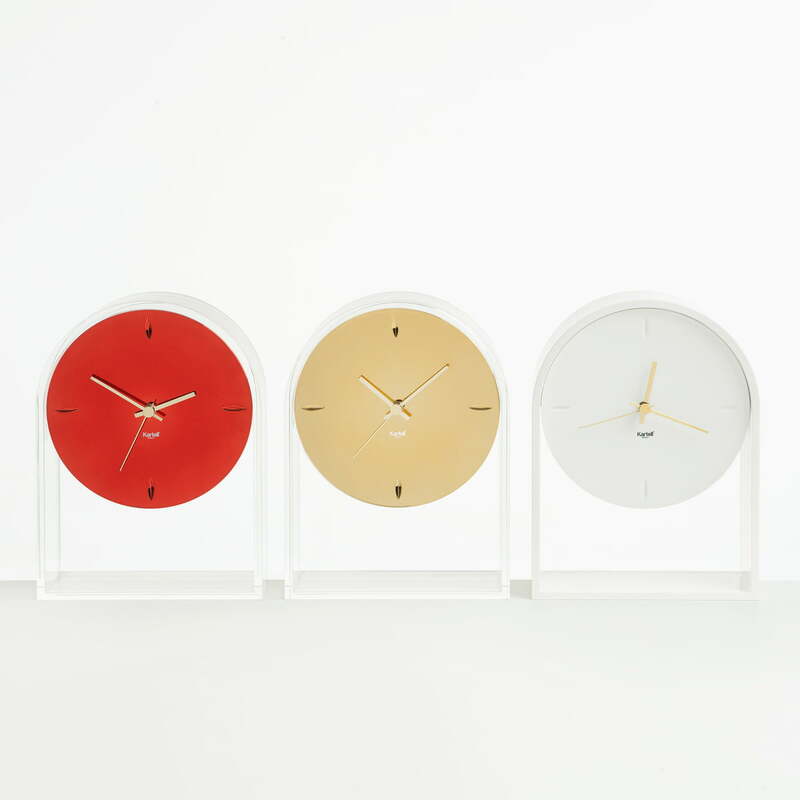 The Kartell - Air du Temps table clock in white. 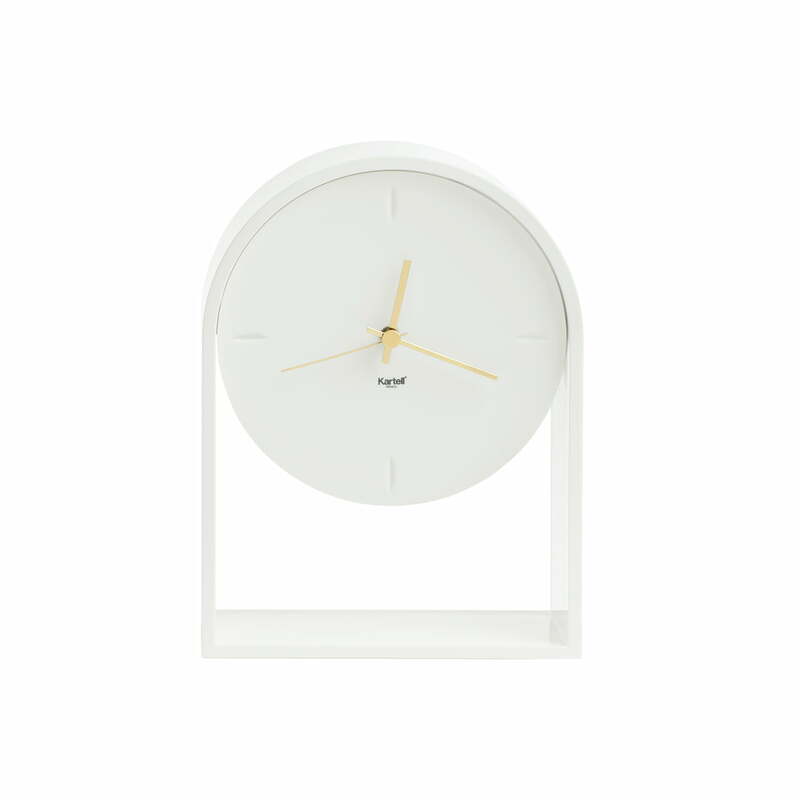 Minimalist yet elegantly designed, the Air du Temps table clock is a stylish addition that enhances your space. Group product image of the Air du Temps table clock. The Air du Temps table clock by Kartell is a design by the Catalan designer Eugeni Quitllet, who has emphasised extravagance and lightness in his work.